Release date June 1, 2008. Abraham responds to questions on prison, pot, weight-loss, partner-gain, finding love and fading love. 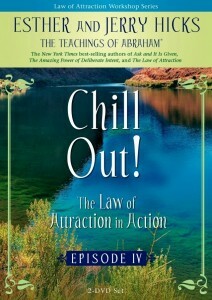 Plus, a more in-depth discussion on the Law of Attraction. Another great “Art of Allowing” workshop – another hand-picked Jerry favorite! So, oars up! Sit back, float downstream and enjoy Episode 4 from San Antonio, Texas. “This mother’s going to send her son the Well-Being cards, because I want to be a vortex of good things for him. But I don’t want to force anything on him…” AND “I’m a therapist and I work with people in prison.” Abraham discusses incarceration and our prison system in general. “Someday soon – the man that I’m into – and the man who’s into me, is actually going to be the same person!” AND – can saying “no” to things actually help them to manifest faster? What if you could tap in to a voice that would answer all the questions you have about life . . . what next step to take in your career, how to solve a troubling family crisis, how to deal with a health problem, how to attract a special someone . . . ? Put all the other books down and tell your life coach you won’t need to call anymore. Because this is it: everything you need to know about life and how to make it work. For the first time in your life, you can learn, with precise detail, your reason for being, your relationship with all that is and the power of your own connection with Source all from the empowering teachings of Abraham. And no one can present these teachings in a clearer and more practical way than Esther and Jerry Hicks. 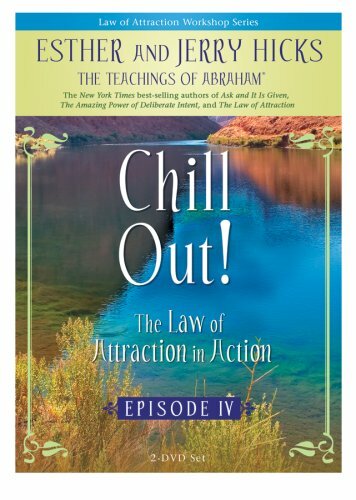 ”¦During this moving and empowering workshop on DVD, you’ll see Abraham in action as they answer some of the most-asked questions from people like you. Esther and Jerry Hicks cruise the highways of the USA, travelling from workshop to workshop, allowing attendees to visit with Abraham and ask any and all questions. The results stream forth in the form of books, CDs, DVDs and much more.